Henley Honda | Service | When Should You Change Your Oil? 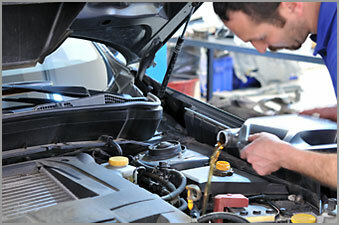 Many Canadians are lead to believe that your motor oil should be changed every 5,000km. This is a number that auto manufacturers have been saying for year after year. Well, year after year vehicles also change and become more efficient and all around better vehicles. Motor oil also has improved since then. Back when these guidelines were established, motor oil also wasn’t nearly as advanced as it is now. The original 5,000km guideline was set because after that, old motor oils would start to break down and turn to sludge. Synthetic motor oils are now made to slow down the process. In ideal driving conditions, some oils can get well over the 10,000km mark. However, we live in Canada, and we all know that ideal driving conditions don’t happen too often. From traffic in the city, to congestion on the highway, and the frigid winters we’re known for, these can all affect the quality of the motor oil. So how often should you change your oil? The answer to this would be to check your owners manual for the recommended time between changes. However, most dealers and mechanics will tell you to change it anywhere between 7,500km and 10,000km. You don’t want to push the limits ever. Honda also offers an online Maintenance Calculator as each make and model differs in the recommended oil-change time. Head over there today and find out if you’re due for one! Once again, you never want to push the limits on how much you can get out of an oil change. If you’re due, come into Henley Honda today or book a service appointment to keep your Honda in the best shape for the road!